Second-place for Cyprus in this year’s Eurovision Song Contest was a fantastic achievement for our tiny nation and the best ever result since 1981, which was Cyprus’ debut in the contest. The world’s longest-running TV music competition saw Netta from Israel win with the song ‘Toy’, written and composed by Doron Medalie and Stav Beger. Israel’s entry received 529 points, followed by runner-up Cyprus with 436 points. The Cypriot tune was the bookies’ favourites in Eurovision week when Eleni’s rehearsals impressed on-lookers at the Altice Arena. All of a sudden, Cyprus was dominating the global networks with the spotlight on the island immensely helping it in all sorts of ways. Eleni Foureira set the Eurovision scoreboard ablaze with the up-tempo song ‘Fuego’ managing Top 5 position with the jurors. It was a catchy track with an ethnic edge that swirled with clarinet riffs. She received the full 12-points by jurors in Spain, Greece, Ireland, Belarus, Malta, and Sweden, with televoting 12-points from Armenia, Bulgaria and… Greece. The UK’s phone-vote gave the Cypriot tune 8 points. With such a robust British Cypriot community it was little wonder that Cyprus received strong televoting support in both the semi-final and final. The voting had us at the edge of our seats and was very intense. It “went to the wire” with jurors ranking Israel third overall in the public’s opinion, and Cyprus fifth; the Top two favourites. On the night, Eleni was awarded ‘Best Artistic Performance‘ in the Marcel Bezençon Awards. The award winners are announced only hours before the Eurovision live grand final. The track, “Fuego”, released in March, stormed into the LGR playlist going straight to number one on the London Greek Radio Chart. Eleni’s back-catalogue of infectious hits has definitely made her one of the most prominent artists on the station’s track-listings. The CyBC had announced Eleni as the Cypriot representative in February this year internally selecting the Greek pop singer. The tune was composed for the competition by Alex Papaconstantinou or Alex P, a Greek-Swedish producer. He collaborates on the tune with Geraldo Sandell, Viktor Svensson, Anderz Wrethov and Didrick. The CyBC chiefs can feel justified in their selection of Eleni; it was a winning-package, a credible artist, with a current, effective pop song and one that showed off her incredible stage skills. LGR acknowledge the work of the Cypriot delegation’s Evi Papamichael and all of their team; Alex Papaconstantinou, Panik Records, Jean Sacha-Baptiste and everyone else associated with this amazing result. Tonight, Cyprus competes at the Eurovision Song Contest 2018, at the Altice Arena in Lisbon, starting at 8 pm BST, with its performance scheduled to be 25th out of the 26 countries, comprising of the Eurovision’s final line-up. Eleni Foureira sings ‘Fuego‘; an up-tempo track with catchy beats and clarinet riffs adding a backbone to the stomping number, hoping to firmly put our small Mediterranean island on the Eurovision map. Cyprus Broadcasting Corporation (CyBC) Director, Michael Maratheftis said, “We would be delighted, willing and able to host Eurovision if it came to it”. Eleni was overcome with emotion as Cyprus was announced as a qualifier in the first semi-final on Tuesday night. The track, released in March, stormed into the LGR playlist, going straight to number one on the London Greek Radio Chart. Eleni’s back-catalogue of infectious pop hits have definitely made her one of the most prominent artists on the station’s track-listings. Her team comprises Lovisa Bengtsson, Marlene Lindahl, and a backing-vocalist Teddy Sky (”off-stage”). Cyprus has never won Eurovision in its 35 years of participation; their best placing is 5th, with Anna Vissi (1982) Hara and Andros Constantinou (1997) and Lisa Andreas (2004). Other popular Cypriot singers have included Michalis Hatzigiannis, Constantinos Christoforou, Evridiki, Alexia, Ivi Adamou- all of whom have flown the nation’s flag. Although Eleni is a Greek pop-star flying the Cypriot colours this year, conversely, it has worked the other way around with Cyprus’ Anna Vissi, Sarbel, Loukas Giorkas, Maria-Elena Kyriakou, all who have previously sung for Greece. This shouldn’t come as a surprise to anyone since the majority of our current wave of Greek music is made there. The CyBC officials selected Eleni earlier this year because of her ‘skill-set’ as a charismatic performance-singer; she’s very likeable, which helps sell this upbeat song. The singer acknowledges ”all of the positivity” about her entry admitting she will do her best to achieve a ”historic milestone” in Cyprus’ Eurovision history. The three-minute performance is incredibly well-staged with very slick, brilliantly choreographed energy. The dancing, given a boost by the visual effects and ”fires” shooting-up on either side of Eleni, will surely impress the worldwide audience. The points are made up of 50% of music experts in all 43 countries, with the other being 50% from public televoting. Her Cypriot entry is penned by composer Alex Papaconstantinou, or Alex P, a Greek-Swedish producer, well-known in Eurovision circles. He collaborates on the tune with Geraldo Sandell, Viktor Svensson, Anderz Wrethov and Didrick. The Eurovision Song Contest Final takes place on Saturday 12th May, being broadcast by the BBC. London Greek Radio sincerely wishes Eleni Foureira the very best of luck in the competition. It’s Eurovision week and Tuesday night sees both Cyprus and Greece compete in the first semi-final, with Greece performing 14th in the running order and Cyprus, 19th. Greece’s Yianna Terzi, will be singing ‘Oniro Mou‘, (My Dream), and Cyprus’s Eleni Foureira, will perform ‘Fuego‘, (Fire), in Lisbon’s Altice Arena on Tuesday 8th May, live on BBC Four at 8 pm BST. Yianna’s catchy atmospheric song, which she sings in Greek is an imagined dialogue between ‘motherland’ and its Greek people; a beautiful, haunting melody with an incredible Greek bridge, along with drums and clarinet riffs add to the song’s sound. The music and lyrics were co-written by Yianna, along with Aris Kalimeris, Mixalis Papathanasiou, and Dimitris Stamatiou. It’s an intensely passionate, patriotic song that plays on ideas of self-belonging and loyalty. The minimalist staging will focus on Yianna who we will see in a white outfit. It’s the look of a ‘Greek goddess’, alone on stage emphasising the song’s somewhat slightly introspective ‘soulful’, spiritual feel. The act also comprises of four backing-vocalists (‘off-stage’); Giannis Lafis, Eugenia (Nia) Balafa, Irini Psihrami and Viktoria Halkiti. Yianna was born in Thessaloniki and is the daughter of legendary Greek singer Paschalis Terzis. Five songs later, and we’ll see Cyprus’s entry by Eleni Foureia – last in the running order, considered by many as one of the preferred positions in the competition. ‘Fuego’ is an up-tempo number with very useful clarinet riffs adding a feel of ethnicity to this catchy Cypriot tune. Cyprus (as of this morning, 8th May), are odds-on favourites to win the Eurovision Final on Saturday 12th May, which would make it the nation’s first ever victory. In our opinion, the track is a brilliant, slick performance which compliments Eleni’s assets as a charismatic singer. It was penned by composer Alex Papaconstantinou, or Alex P, a Greek-Swedish producer, well-known in Eurovision circles. He collaborates on the tune with Geraldo Sandell, Viktor Svensson, Anderz Wrethov and Didrick. The First Eurovision Semi-Final airs on Tuesday 8th May, at 8pm on BBC 4. The UK will be tele-voting in the semi-heat. The points will be determined with 50% already sown-up by the jury dress-rehearsal on Monday night; the other 50% by tele-voting during the live Tuesday evening contest. The Eurovision Final takes place on Saturday 12th May, on BBC One. London Greek Radio wishes Yianna Terzi and Eleni Foureira the very best of luck in the competition. A new radio station has been introduced in Glasgow which has big plans to shake up Scotland’s airwaves. London Greek Radio, (LGR), has been added to the DAB+ multiplex in Glasgow, extending their radio coverage to Glasgow’s population of almost 600,000. Scotland has an estimated Greek and Cypriot population of more than 50,000 and the new station’s hopes are to garner many more listeners across the Glaswegian City with a fusion of talk and Greek music when it launched on Wednesday 11th April. LGR is believed to be the first ethnic London radio station to cross the border into Scotland now playing European music in Glasgow on DAB+ Digital Radio. LGR has already attracted some top presenters after more than thirty-five years on the air. 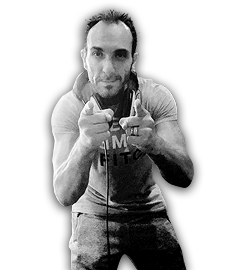 It will be led by veteran host Vasilis Panayi and will feature DJs including Andreas Michaelides, Kat Neocleous, DJ Sooty, Soulla Violaris and Tony Neophytou. Inevitably, Antonaki says that Greek music will be their “mainstay.” Describing their brand as “the Heartbeat of the Greek community”, he reveals hopes to begin a regular phone-in during the evenings to connect Greeks in Glasgow, Birmingham, Manchester and London, (where the station is already broadcasting on DAB+). LGR’s Chairman, John Kyriakides, said, “We are broadening our scope to reach out to the wider Greek and Mediterranean audiences. With digital radio, we can go further and will be looking at doing things differently at LGR. Antonaki Jay, who was at the helm of joining Glasgow’s DAB+ platform – hopes LGR’s edgier playlist of more of today’s biggest Greek and Cypriot tunes with some home-grown talent thrown in the mix will attract listeners who are fed up of chart-topping earworms on mainstream stations. He said: “We’ll play a wide range of music from Natasa Theodoridou and Konstantinos Argyros, through to Giannis Ploutarhos and Melina Aslanidou – an eclectic mix. Not too heavy, though. “We’ll also host unsigned Greek singers, bands and performers either via telephone or in the studio. We want to give these acts a chance to be heard and celebrate Scottish-Hellenic talent. 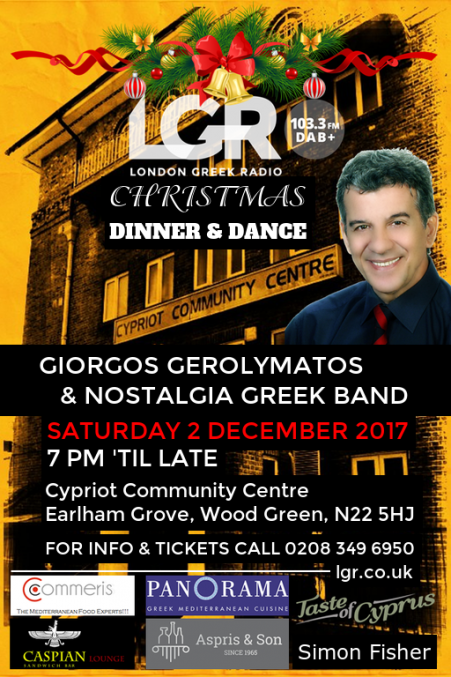 LGR will be spinning Greek music and covering a wide range of cultural programmes with more depth, which will no doubt appeal to hundreds across Glasgow. He added: “This will be a multi-platform digital outlet that interacts with its audience through social media and telephone, as well as email, text and messenger platforms. We’ll be connected to our listeners and giving Greek people in Scotland a voice. London Greek Radio (LGR) is a 24-hour station, with live broadcasting between 7 am until Midnight. It launched in Glasgow on Wednesday 11th April. LGR joins several stations on DAB+ as more radio stations are preparing to broadcast on Glasgow’s airwaves, as the city becomes Scotland’s digital radio hotspot. Listeners will need a newer DAB+ compatible radio, recognisable through the Digital Radio Tick Mark on packaging, to receive the full set of stations via DAB and DAB+ digital radio. 54% of Glasgow homes own a DAB radio, according to latest statistics. The number of DAB stations that can be received in Glasgow has increased by thirty in the past year and is growing rapidly. LGR is now broadcasting via 103.3 FM in London, across the world online and already on DAB+ in Birmingham, London and Manchester. Glasgow is now available in stereo using DAB+. YIANNA TERZI MUSIC VIDEO FOR GREECE’S EUROVISION RELEASED! ‘Oneiro Mou’ is the song which Greece have confirmed will be their entry in this year’s Eurovision and the video was released this week. Greek broadcaster ERT confirmed earlier this year that Yianna Terzi would fly the Greek flag at the Altice Arena for the upcoming Eurovision Song Contest in Lisbon. The mid-tempo modern Laiko ballad, which is sung in Greek, with strong ethnic elements and a polyphonic chorus successfully combines both a traditional orchestral sound with modern production and this makes it a catchy atmospheric song. The melody adds a mysterious feel and an incredible Greek bridge with drums and clarinet riffs add to the song’s atmosphere. Yianna co-wrote the lyrics and music with Aris Kalimeris, Mixalis Papathanasiou, and Dimitris Stamatiou. The verses and chorus intriguingly are said to be an intimate conversation between ‘Greece and its people’. It’s a touching song which, through its deep lyrics, pronounces steadfast loyalty to the ‘nation’ with fervent patriotic overtones. The video’s opening scene shows Yianna in what is a ‘fetal position’, which she says herself represents ‘the Greek territory’ or ‘motherland’. A male, aka Dimitris Vlahos, is seen running across the mountainous terrain where he stops at a plot of soil and pushes his hand underneath and tightly grips Yianna’s arm. The Greek man does this as a way of demonstrating his strong ‘umbilical cord’ to his ethnic roots and as such, underlying the song’s patriotic credentials. The video is directed by Sherif Francis, who captures the song’s mystical intensity and atmospheric feeling quite dramatically. The song’s verses compliment this innate feeling, with emotive lyrics; ”Why would you want to change me and dull my blue (colour)?” and, ”No matter how much I ache, I wouldn’t strike you off the map”. This, presumably, is its subtle wink to the nation’s flag colours and territory. Chali Jennings was asked to direct the song’s creativity and staging and we have learnt that the colours ‘blue and white’ feature heavily in the song’s live stage performance. The Greek act comprises four backing-vocalists accompanying Yianna on stage; Giannis Lafis, Eugenia (Nia) Balafa, Irini Psihrami and Viktoria Halkiti. Yianna was born in Thessaloniki and is the daughter of acclaimed Greek singer Paschalis Terzis. Yianna relocated from Greece to the United States five years ago in order to further her music career. The first Eurovision semi-final airs on Tuesday 8th May, on BBC Four at 8 pm with Yianna performing fourteenth out of the 19 countries in the running order. Greece’s chances of qualifying for the final were given a boost as the UK were confirmed as voters in the first semi-final phase. The televoting/jury has a history of giving Greeks generous marks. The Eurovision Grand Final takes place on Saturday 10th May on BBC One. 12 months… x Top 5 tracks each month… brings us The LGR 60! Check out the tracks to see if your favourite (s) have made it to the London Greek Radio official chart here.